Bingo Spirit is celebrating 22 years of Bingo at its best and it just keeps on getting better in August as they celebrate with more prizes for more players in their exciting 22 Years of BINGO Tourney where you can play it cool and win up to $1,000 in cash! Get ready to play in the Bingo Spirit Summer Bingo room every day between August 1st and August 30th. 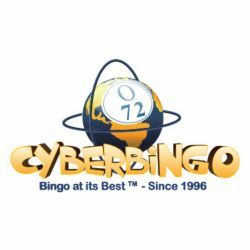 They will bring you the biggest bingo celebrations with more cash prizes and chances to win in this fun filled 22 Years of no deposit bingo Tourney. Every hour you can play one of the special tourney bingo games with a card cost of only $0.50 a card and each time that you win one of these tourney bingo games, not only will you win a fantastic cash pot, you’ll also receive one point on the tourney leader board. The more points you get the bigger the prize. This month they have got a massive $4,000 of prizes to be won by the top 50 players and fabulous cash prizes of up to $1,000 for the top 5 players.